V.	That we must work to make the client independent of us and that our motivation in supporting women is out of concern for her well-being. We must avoid developing a codependent relationship. The interests of the child will be of paramount consideration when any action is taken in response to suspected abuse or neglect. This organisation commits to support the statutory agencies (CFY and the NZ Police) to investigate abuse and will report suspected cases and concerns to these agencies as per the process in this policy. Our Coordinator will be responsible for the maintenance and annual review of this policy, and the Committee responsible for its approval, in addition to carrying out the responsibilities outlined in this policy. Staff will not assume responsibility beyond the level of their experience and training, and our organisation commits to ensure all staff have adequate training available. Our child protection policy supports our staff to respond appropriately to child protection concerns, including suspected abuse and neglect. This policy provides a broad framework, including, but not limited to, staff behaviours in response to actual, or suspected child abuse and neglect. It applies to all staff, including volunteers and part-time or temporary roles and contractors. It is intended to protect all children staff may encounter, including siblings, the children of adults accessing our services and any other children our staff may encounter in their role. As well as guiding staff to make referrals of suspected child abuse and neglect to the statutory agencies, this policy will also help staff to identify and respond to the needs of the many vulnerable children whose wellbeing is of concern, and to enable our staff to report concerns of children that may be at risk in a way that does not compromise the safety of the child. We recognise that in many cases, the involvement of statutory agencies would be inappropriate and potentially harmful to families/Whanau. Throughout New Zealand, both statutory and non-statutory agencies, such as ourselves, provide a network of mutually supportive services, and it is important we work with these to respond to the needs of vulnerable children and their families/Whanau in a manner which is appropriate to risk and level of need. •	The coordinator, with the support of the staff/supervisor involved (additional supervision should not exceed one session without committee approval) is responsible for contacting the authorities and/or documenting the outcome. •	The support worker/counsellor and coordinator are to ascertain whether the risk can be managed or whether CYF should be contacted. In order to do this the coordinator can involve a supervisor to come to a decision. •	Where the risk can be managed the coordinator and support worker/counsellor are to draw up management plan. The support worker/counsellor to feedback any changes in the circumstances. Other community support should also be sought to support the parent(s). •	The parent/caregiver to be informed only if it does not put the child and/or support worker at further risk. •	If appropriate, all other agencies that are involved with the child/mother to be contacted to make them aware of the systems that are in place. •	All meetings and calls are to be documented and kept with the client notes in the office. Keep a record of conversations, times and names. •	If the client wishes to discontinue support, CYF should be notified that support is being withdrawn, and where possible the coordinator and the support worker should close the support with a joint visit, providing there is no risk of safety. •	The Coordinator must report any breaches of this policy to the committee immediately and reported in the monthly report in order that actions or risk assessments maybe undertaken. •	Breaches of this policy may result in disciplinary action under the Code of Conduct. •	Postnatal Depression Support Network acknowledges the status of Māori as Tangata Whenua; indigenous people of Aotearoa, New Zealand. •	Postnatal Depression Support Network recognises the importance of respecting difference and acknowledging cultural diversity and avoids imposing mono-cultural concepts on Tangata Whenua and other cultural groups. •	When working with clients Postnatal Depression Support Network, encourages and supports people of all cultures to maintain connections with their beliefs and values. 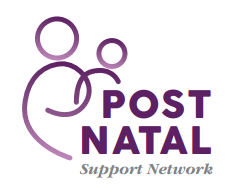 •	Acknowledging and taking measures to meet the cultural needs of individuals will assist Postnatal Depression Support Network in its aim to walk alongside them in their journey through postnatal distress and back to wellness. •	Assisting clients back to wellness requires services to be delivered in a way which respect and honour cultural difference. •	Support Workers and Counsellors are encouraged to take a holistic approach to practice based around Te Whare Tapa Whā health model. •	Initial assessment seeks to identify cultural beliefs of clients and work with them accordingly.